DVLA has changed its system from 01 Oct 2014 so that you no longer have to display a tax disc, and several other changes behind the scenes. 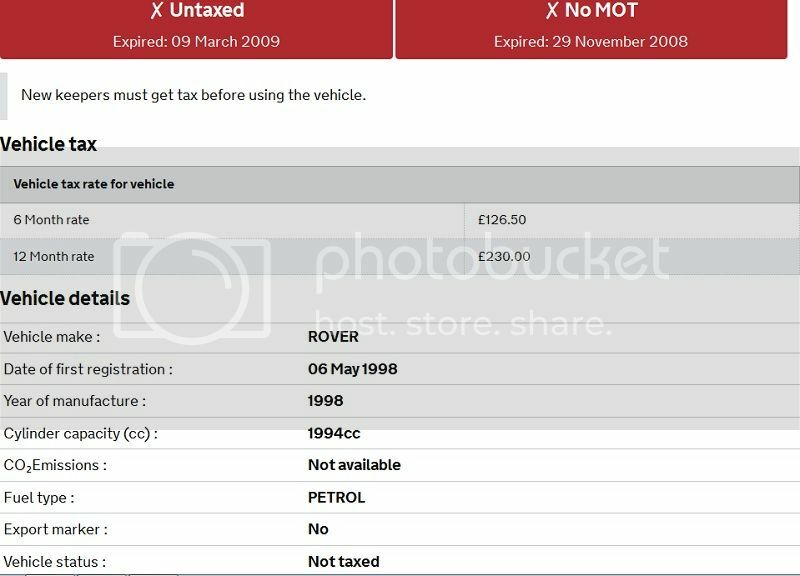 It seems that the old plate check site now automatically goes to http://www.taxdisc.direct.gov.uk/EvlPortalApp/?origin=vehicleEnquiryInfo_en.jsp&event=- bea.portal.framework.internal.portlet.event&pageid=Vehicle+Enquiry&portletid=Veh- icleEnquiry&portletns=VehicleEnquiry_en&wfevent=link.next which is a dead end for checking plates in our usual way. 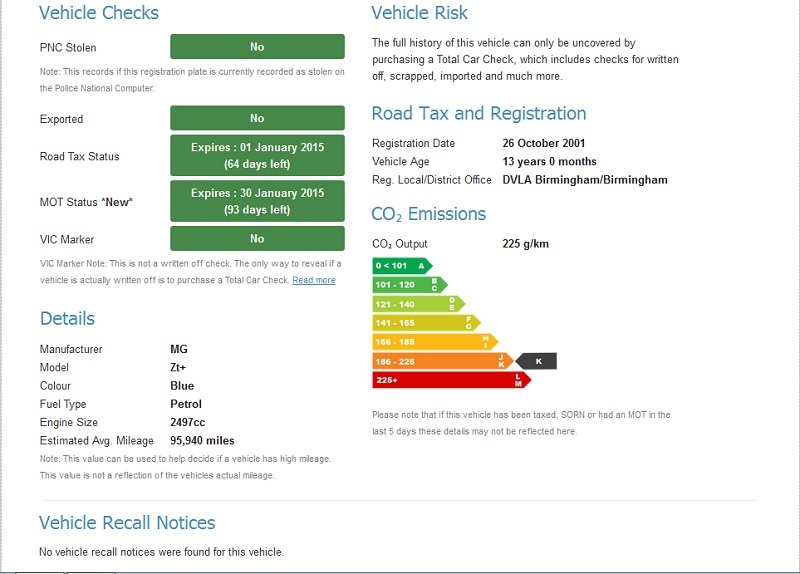 There is a new alternative at https://www.vehicleenquiry.service.gov.uk/ which seems to provide same details, but has differences, so not sure yet whether it'll be similarly useful. Also it looks as if there is a fair bit of beta version pages in operation without a proper final system. So we'll need to (a) change DVLA link details and (b) maybe discover how to use new pages effectively. But probably not yet got the definitive pages or links to work with or change. So far secondary sites which use DVLA data seem to work as before. If anyone comes up with better pages or tips for more effective use, please post here so we can decide what to change. A reasonable site which works well when I've used it. But doesn't seem to have as full a databank as some other DVLA-based sites, so shows nil returns for plates which still show elsewhere.